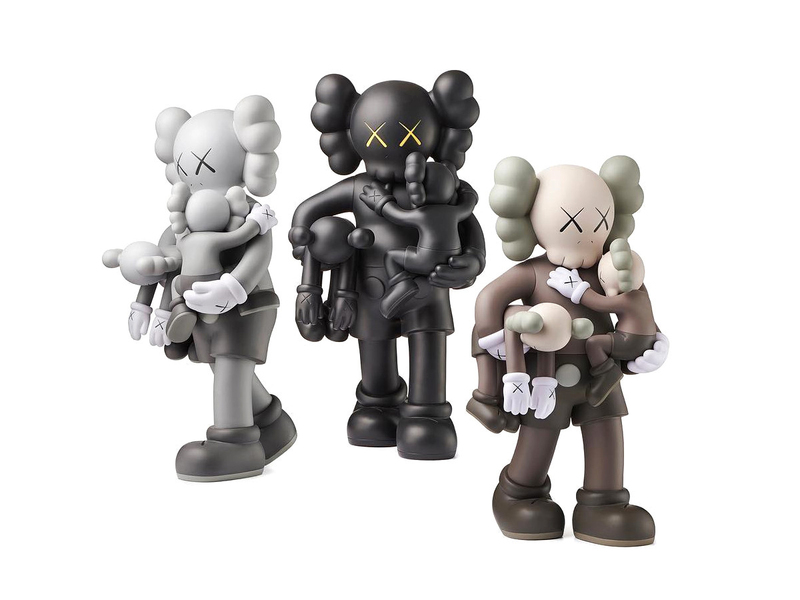 KAWS is definitely making waves in the fashion industry, having recently collaborated with Kim Jones for Dior Man’s Spring-Summer 2019 collection, creating limited-edition Dior X KAWS BFF Dolls, appearing on RTW and leather goods, even jazzing up the iconic Dior bee with his signature ‘X’ eyes. But before that, KAWS has been known for his large-scale monuments, such as the bronze CLEAN SLATE sculpture that was recently acquired by the Modern Art Museum of Fort Worth (The Modern for short). To commemorate the acquisition of the 21-foot-tall structure, KAWS will be releasing a trio of collectible 14-inch vinyl figurines (scaled-down replicas of the original sculpture) that are priced at USD480 each. Fans of the New York-based artist will be familiar with these collectibles known as Companion, which is similar to Medicom Toy’s popular BE@RBRICK. These CLEAN SLATE figurines stand at 36 cm, which make it slightly higher than a 400% BE@RBRICK (28 cm high), if you do need a size comparison. Set to be available on 9 December 2018 in 3 colours, Black, Brown and Monochromatic Gray, just head here slightly before Sunday midnight (it launches at 10:00 CST) to start camping. The good news? The Modern does ship to Singapore, so it is truly a case of fastest fingers first before all stocks are wiped clean.